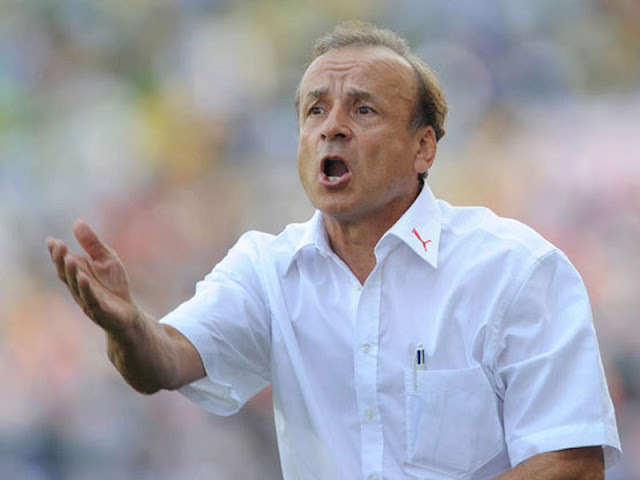 It is more than one week since Super Eagles manager, Gernot Rohr and the Nigeria Football Federation made public a list of thirty players, twenty three of whom would prosecute the World Cup. While as usual, there would be public debates on who should have been in or out, the issue of three, or maybe four players continues to be at the center of discussions. “Brown Ideye, Efe Ambrose and Junior Ajayi, should have made the list,” they scream and Junior Lokosa should not have been there. Junior Lokosa is the leading scorer in the Nigeria Professional Football League with eighteen goals from twenty two games; Brown Ideye, on loan at Spanish side Malaga from Chinese Super League club Tianjin Teda did not make the cut while Crotone’s Simeon Nwankow got a look in. Some pundits within and outside the country have made cases for Hibernian FC defender, Efe Ambrose as well as Junior Ajayi who is with Egypt’s Al Ahly. Ufuoma Egbamuno is a Port Harcourt based sportscaster with the Nigeria Info FM family and he believes the inclusion of Brown Ideye would have brought stability to the team. “There are notable absentees who I honestly think should have been part of the list, but for the fact that he’s been part of the set up and has experience as well as a bit of physicality that I’m not sure we have in any of our strikers, then I am thinking Brown Ideye should have been in that list,” Egbamuno told NigerianFootballer.com. “Junior Ajayi has had a very good outing at Al Ahly in Egypt,” Egbamuno continued. “And I’ve been talking with colleagues in Egypt and they’ve been telling me positive things about him. “Unfortunately he wasn’t given enough time in the friendly he was called for so we haven’t seen much of him and maybe that was why Gernot Rohr didn’t add him to the list. “That being said I think the list is 95% ok. For those calling for Ambrose Efe, Come on! Let’s call a spade a spade. Efe has gone past his sell by date and it’s the simple truth. Where is he now? Hibernian or somewhere in Scotland, what has been his track record? Trust me he has done his best for the country and this is not time to start calling for him,” Egbamuno said. Fisayo Dairo is the Chief Football Writer at online sports publication, www.aclsports.com and he insists that though he would have loved to see Brown Ideye in the team, Gernot Rohr’s decision to exclude the Malaga player is fair. “For Brown Ideye, he has not been part of the team for close to 18 months now and I think that counted against him. “There is also the fact that when he joined Malaga in January he was only able to score 1 goal and eventually the team got relegated so if we look at it logically I think the coach has a point by excluding him,” Fisayo Dairo told NigerianFootballer.com. “It’s very unfortunate that the team need a lot of experienced players and when you talk of this option, Brown Ideye readily brings that into play,” Dairo stated. He however added that the inclusion of Simeon Nwankwo and Kano Pillars’ sensation, Junior Lokosa is timely. “The list of forwards released by the coach will still lack a ‘standing 9’ incase Odion Ighalo fails to fire at the World Cup. "My thinking was that we would have had a player like Brown Ideye to fill in that position but he unfortunately couldn’t play for his club in China after the signing of a Ghanaian player due to their quota system. “He moved to Malaga where the club eventually didn’t have a good season but we know how reliable Ideye could have been as he started the qualifiers with the Eagles and did well in those few games. “Now if you’re not going to take Brown Ideye, then maybe take the least experienced Junior Ajayi that is also a powerful forward, someone who can score,” Orakwe said. Queen John also writes for www.aclsports.com and completely agrees with Gernot Rohr’s list. “For me I think the list is ok. The list would have been 35 but he made it 30, and that is to say he would not have so much stress cutting it down so it’s quite easy that way. “But a lot of people have called and questioned why the likes of Junior Ajayi, Efe Ambrose and Brown Ideye are not on the list. “I would have said maybe a Brown Ideye should have been given a nod but he has been out of the national team for a while now and once you are not in the national team for that long, it’s difficult for you to be called up,” Queen explained.